This entry was posted in Gratitude, HuffyHow, Nature and tagged Deadhead, Garden, gardening, Grateful Dead, Home and Garden, nuturing, Plant, postaweek2011, Seed by Huffygirl. Bookmark the permalink. It’s like a form of meditation. 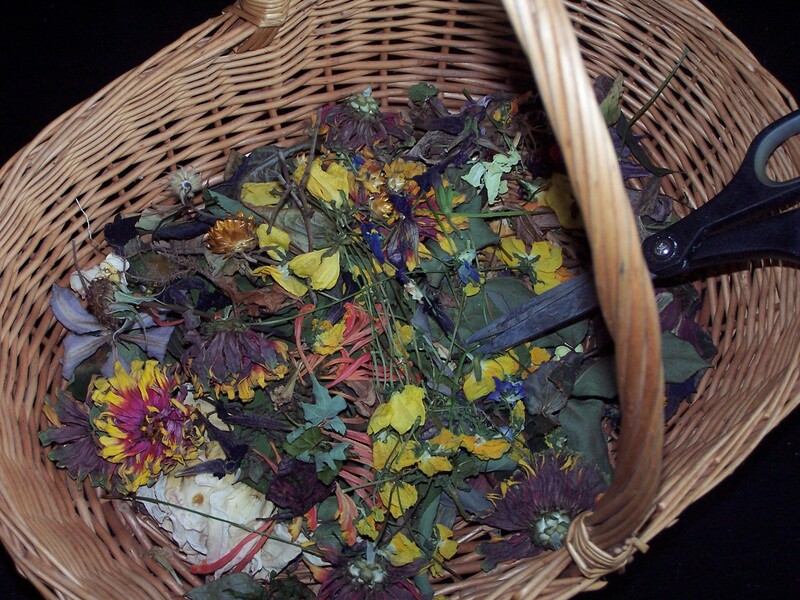 Who knew the clippings in a Deadhead Basket could look so pretty? I know. I didn’t realize how good they looked until I took the picture – they basically turn into dried flowers. The zinnias especially look nice. Lovely writing and wonderful message. Thanks. So kind of you to say Winsomebella! 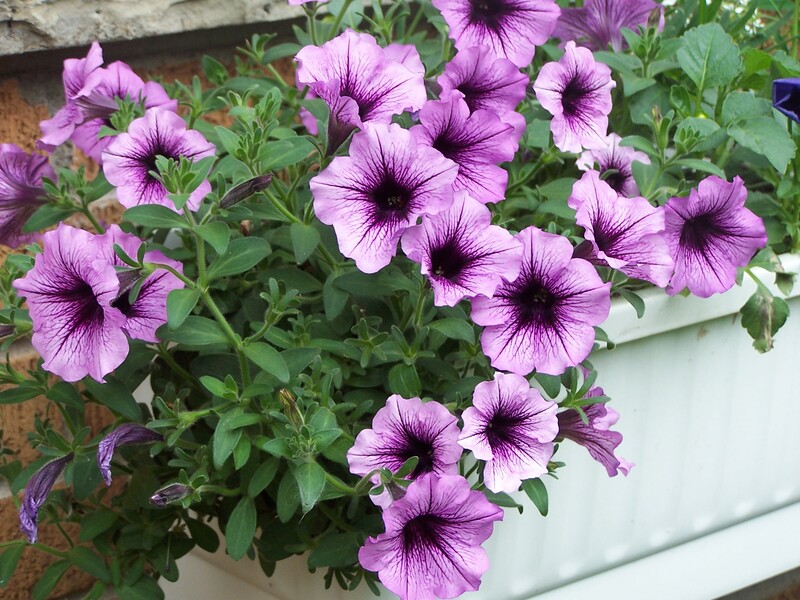 Well, get your counterpart to plant the flowers, then you can peacefully deadhead and maintain them. Thanks Cecelia. 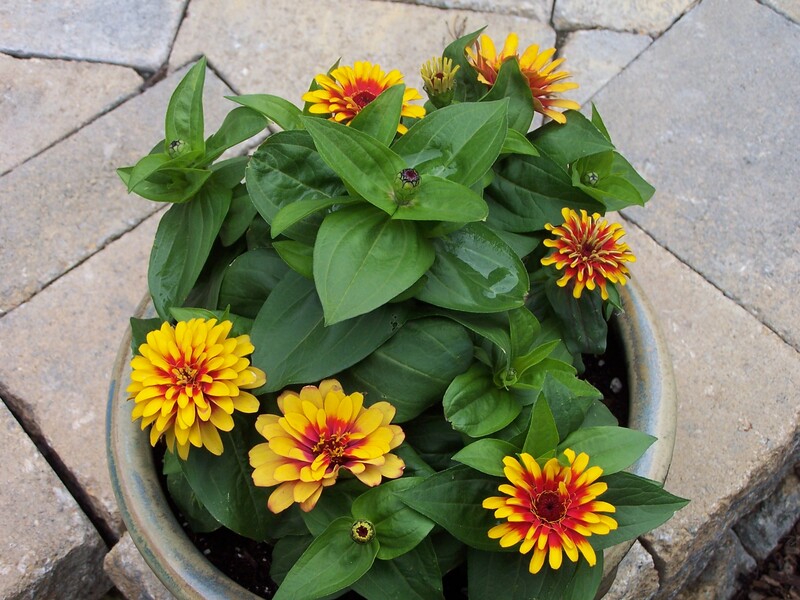 See what deadheading can do! Wonderful, well-written post! Beautiful flowers! Congrats “grateful deadheader” 🙂 Lovely plants. Sometimes doing something which does not require major brain activity or lots of physical labor is very relaxing and maybe even inspirational. Thanks Ann. I hope it’s not too hot down there for you to enjoy some gardening too. I don’t really have a garden. A couple pots out back with sweet potatoes and onions which I hope will grow ok, and a couple plants on front porch to help curb appeal even a little since am trying to sell townhouse. Oh Cindy, that’s the best complement ever. It would go great with your amazing flower photos! Wonderful, inspirational post. We should all look for ways to meditate with the mundane, like you have. My husband is the deadheader in our family. He does it with such tenderness, and I never understood it until I read your post. Fabulous! Wonderful idea CE. Thanks so much for your gracious words.